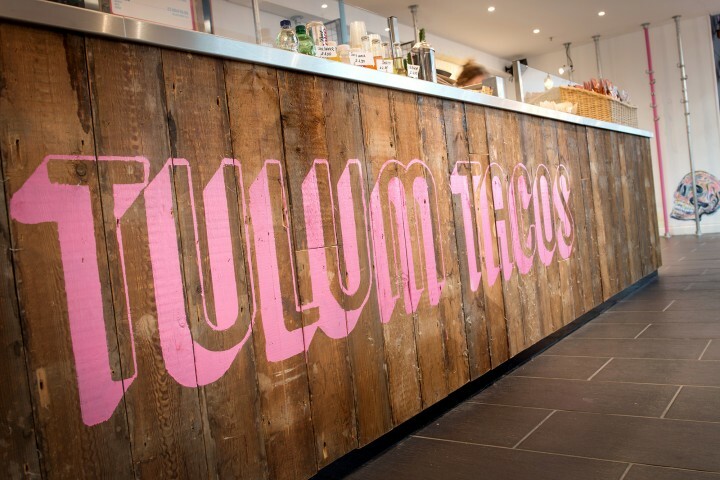 ﻿ Tulum Tacos Pop-Up | not tom. 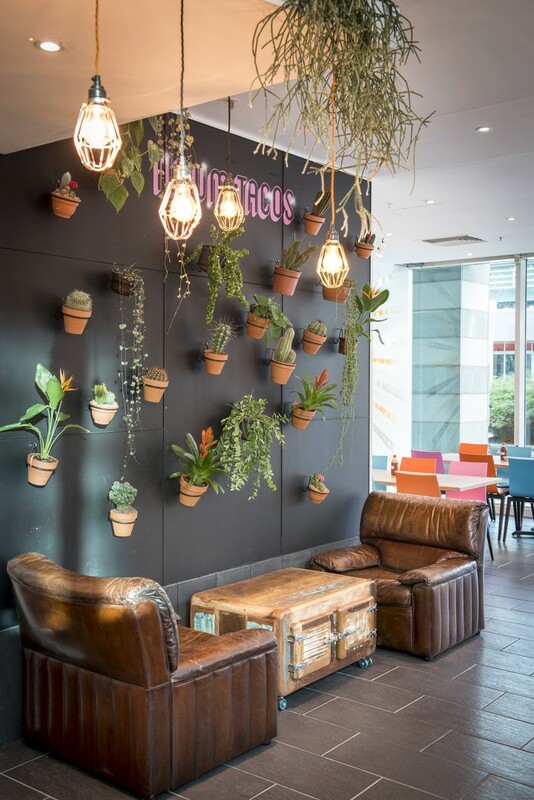 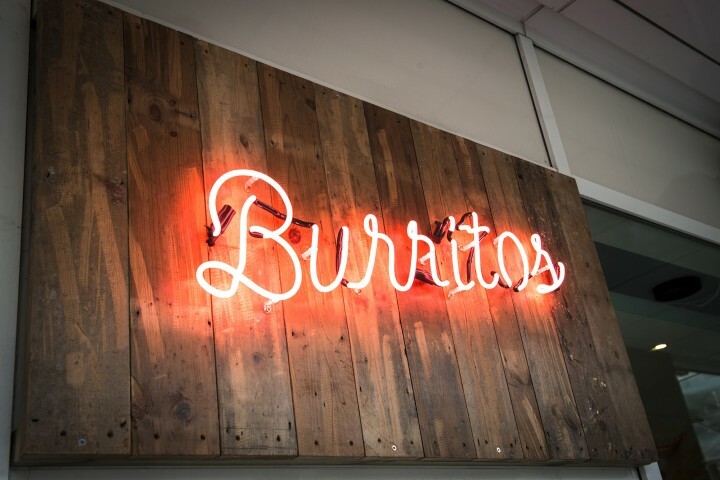 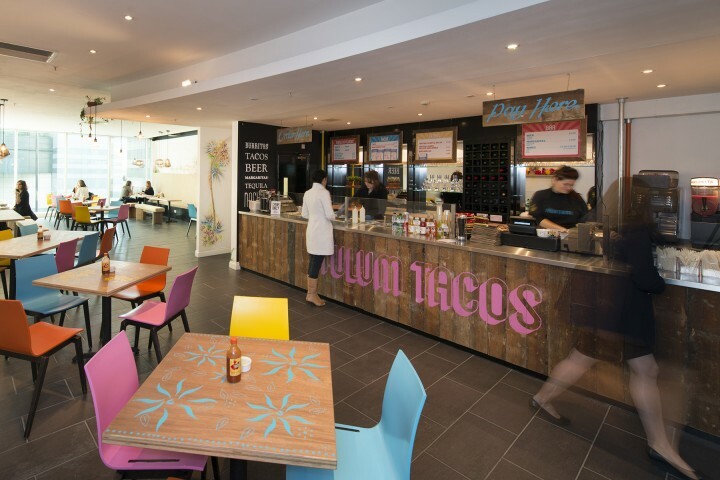 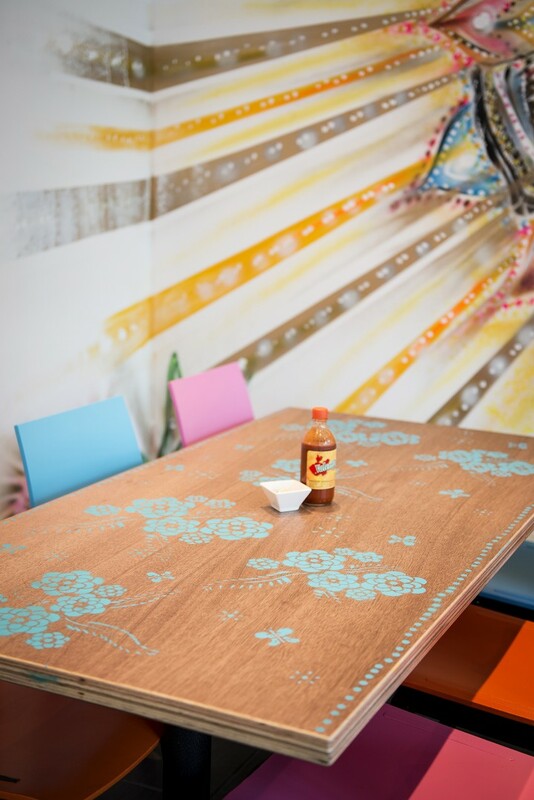 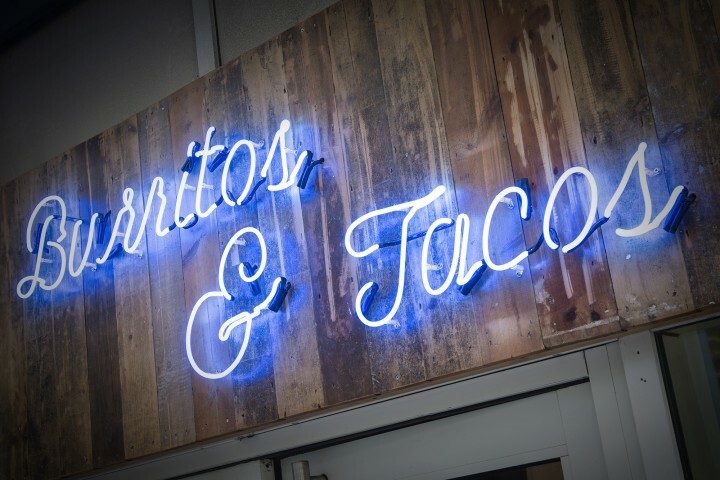 Following our successful work with Appear Here, we were referred to design and deliver a temporary restaurant environment for Mexican restaurant chain Freebird. 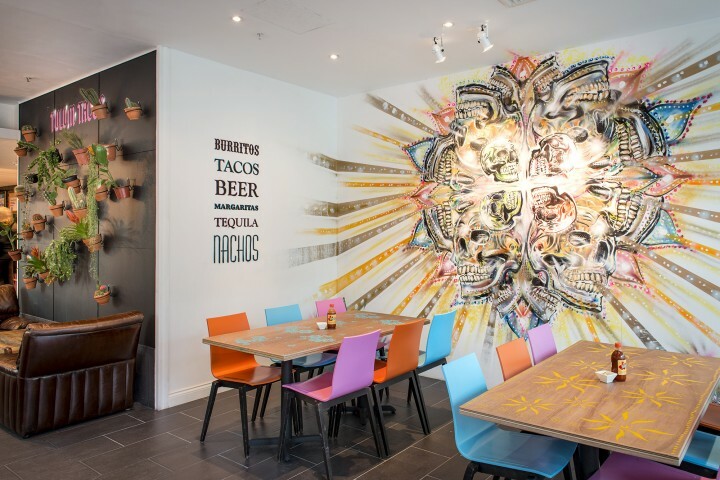 The pristine ‘white-box’ space provided a challenging environment in which to recreate the colourful and chaotic aesthetic of a traditional mexican cantina. 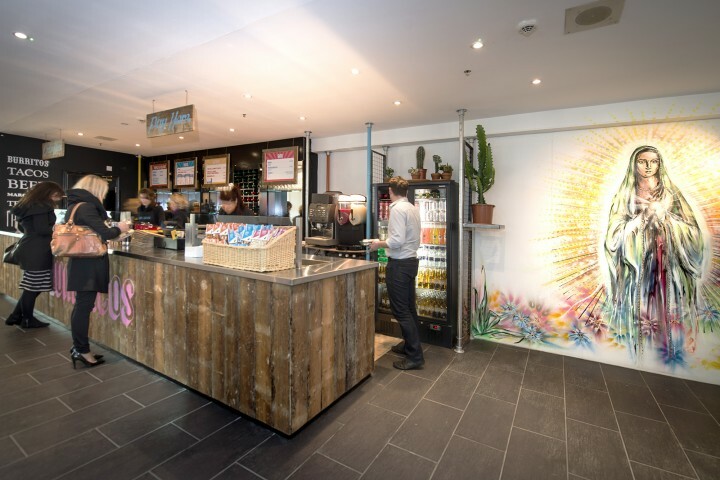 However working with a street artist and devising a a few key focal installations we were able to transform the space, resulting in a vibrant yet contemporary restaurant environment for the company, in the heart of the city.